If you want to buy new carpets but just haven’t got the money, then why not try our Watford carpet cleaning service. Our WD1 carpet cleaners can have your floors looking as good as new in no time at all and at less than half the price. We guarantee that you will be amazed at just how good your old floors can look after a carpet clean from us. No longer will your colours look faded, no longer will those stains stand out and no longer will those pet hairs remain. 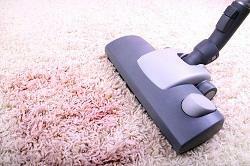 You can be rest assured that a deep clean from us is almost just as good as getting a new carpet fitted! 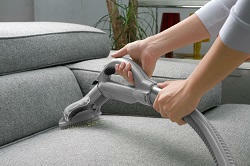 Upholstery cleaning packages in Watford don’t come any better than ours. With top-of-the-range products and machinery, Carpet Cleaning Watford guarantee that when you use our local cleaning company you will be getting the best upholstery clean service that there is. Our upholstery cleaners will take the utmost care of your sofas, chairs, curtains and rugs leaving them looking like they’ve just left the showroom. So whether you’re concerned about built-up odours, stains or dirt our dazzling cleaning company is on hand to help. With a competitive local rate, the only complaint that you’ll have is that you didn’t use us sooner. When you’re getting ready to move out, cleaning is often the last thing on your mind. That is why we have developed an affordable end of tenancy cleaning service that is guaranteed to help you out at short notice. 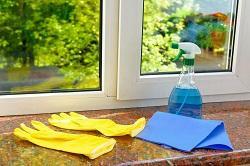 Our end of tenancy cleaners in Watford, WD1 are happy to clean all areas of your home and will leave no windowsill, rug or cupboard unturned. A professional end of tenancy clean from us will leave you with nothing to worry about except your move. So don’t lose your bond by doing a last minute superficial clean, when our cleaning company can get below the surface whenever you need. Do you wish that your home had that just cleaned feel all the time? Then why don’t you check out our domestic cleaning packages today. Covering everything from your basic washing up, vacuuming and dusting to your full-scale deep clean, our Watford domestic cleaners can take care of everything that you need. Available to visit as often or as little as you like, our domestic clean packages can be tailored to meet you and your family’s requirements. So if you want to get that just polished look with none of the elbow grease, book in our team today on 020 3743 9315. Have you ever considered using a house cleaning service but been put off by nightmare industry stories? Our cleaning company understands just how big a decision it is to let someone new into your home and that is why we invite only the most trustworthy and reliable individuals into our WD1 home cleaning team. We promise that all of our Watford house cleaners operate to the highest professional standards and will never compromise your privacy or damage any of your belongings. With years of experience, our team at Carpet Cleaning Watford will take the utmost care of your home and will always leave it in the best possible condition. So don’t waste time and contact us on 020 3743 9315 today. Research suggests that having a clean and modern working environment can help businesses to get the most out of their workers. To help with this, our cleaning company Carpet Cleaning Watford has put together a competitive office cleaning service in Watford, WD1 which can help you to keep your premises looking great. In addition to this, our WD1 office clean service will also help you to present a modern and professional image to customers, ensuring that a positive customer perception is maintained at all times. So if you want to enhance the productivity of your workforce and maximise your business potential, schedule your commercial cleaning in with us today by calling us on 020 3743 9315. Trust our carpet cleaning professionals in Watford, WD1 to give you excellent quality and cheap services. Reserve your appointment on 020 3743 9315! My house floors were left immaculate after their team were done with their job. After searching for a company that can balance both low prices and high quality of service and work, CarpetCleaningWatford were just the company. It was incredibly satisfying to pay very little for such a great home cleaning service. Thanks very much! Finding a good, honest and professional cleaning agency isn't always as easy as it sounds. I spent hours last month trying to find a decent company for help and so many of them were so rude and utterly unprofessional. Thankfully I found this amazing company and I'm so pleased with their work. Carpet Cleaning Company Watford, unlike so many, really know the meaning of hard work. Nothing is too much for them and they arrive on time, no delays. Plus, the customer service is really nice and helpful too. Carpet Cleaning Company Watford were more than helpful when it came to my end of tenancy house clean. I wanted to make sure I got my deposit back from my landlord, but didn't have the energy to clean the house before I moved. I found that this company were professional and very helpful, and they cleaned every inch of the property for me! Thanks! I wanted my rental flat cleaned after I moved my furniture and appliances out. I used CarpetCleaningWatford as I had noticed their vans about and though they must be popular. Well, the cleaners came in and did a super job at a good cost. The team really got to work and wiped, washed, swept and mopped until the entire house was sparkling clean. Watford, Rickmansworth, Croxley Green, Loudwater, Mill End, Chorleywood, Sarratt, Batchworth, Chenies, Harefield, Heronsgate, Maple Cross, Chipperfield, Hunton Bridge, Rucklers Lane, Kings Langley, Elstree, Cassiobury, Holywell, Carpenders Park, Bushey, North Watford, Garston, Leavesden, Aldenham, St Albans, Bricket Wood, Colney Street, Frogmore, London Colney, Napsbury, WD1, WD3, WD4, WD5, WD6, WD2, WD7, WD17, WD18, WD19, WD6, WD24, WD25, AL2 WD23, and the rest of London as well. Description: Have your carpet shining in no time at cost-effective rates by choosing our excellent carpet cleaning company in Watford, WD1. Call 020 3743 9315 now! Copyright © 2014 - 2015 Carpet Cleaning Watford. All rights reserved.